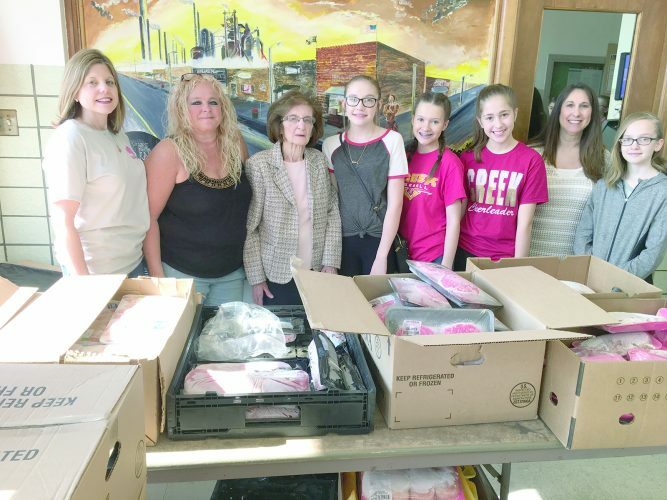 STEUBENVILLE –Volunteering her time at the School of Bright Promise is a labor of love for Sarah DiGregory of Steubenville. DiGregory received help through the county Development Disabilities agency throughout the years. After graduating from the Jefferson County Joint Vocational School, she worked through the agency’s adult services program at the training center, doing janitorial services in-house and out in the community. She also worked in the cafeteria at the Franciscan University of Steubenville. She got a job at Riesbeck’s Food Market in Wintersville where she was a courtesy clerk, bagging and helping customers to their cars. She lost her job when the store closed but got a job as a cashier at Kroger in the Hollywood City Center. Judy Creamer, an instructor aide at the school, said she was at the training center when DiGregory was there. Creamer moved to the School of Bright Promise two years ago and now DiGregory is volunteering in the same classroom. Creamer said DiGregory does whatever is needed in the classroom, especially playing with the kids and entertaining them. “She is wonderful with kids. She always has been,” Creamer said. “I love kids. I have always loved kids. Kids make me happy,” DiGregory said. DiGregory said she has always loved volunteering. She would take a week’s vacation from Riesbeck’s so she could attend the Italian American Cultural Club summer camp. “I did arts and crafts with the kids. I loved it,” she said. When DiGregory walked into the school on her first day of volunteering, she said the kids and teachers were so happy to see her. Outside of work, DiGregory said she loves to go shopping, going to the gym and walking. She likes movies, going out to dinner and bowling. “I want to be out and about and do my own thing,” DiGregory said. “She likes to be very independent,” Creamer said. DiGregory said she loves to work at Kroger. She works there three to four days a week. “It is really busy there. They are always calling me in. I’m dependable,” she said. “That I can vouch for. 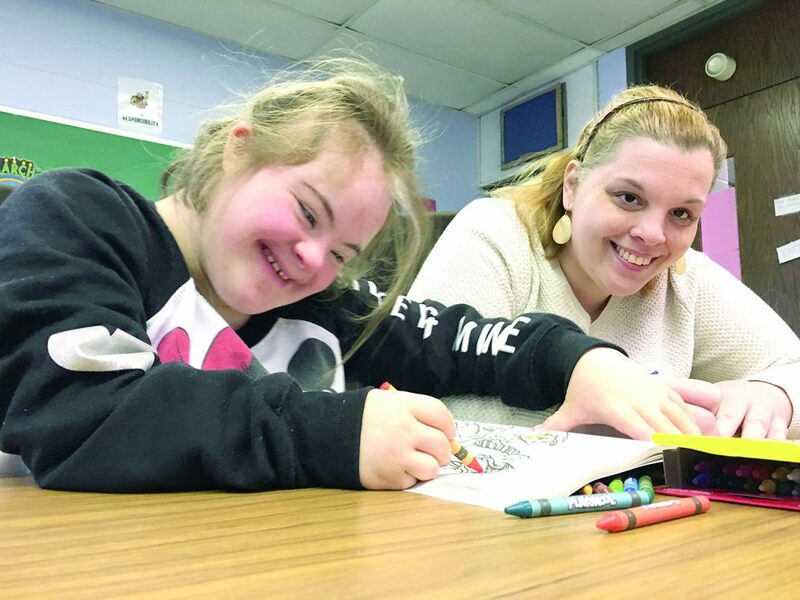 She is dependable,” Creamer said, adding DiGregory is at the School of Bright Promise from 8 a.m. until 3 p.m. every day that she doesn’t work at Kroger. DiGregory said volunteering makes her happy. “It makes me happy to give something back to the community and for the (DD program) and all they did for me. I want to say thank you. When I walk in, I feel like I’m back home with the kids,” she said. Her father, Lou, owner of DiGregory’s Greenhouse and Garden Center, said the county Developmental Disabilities program greatly helped his daughter after she graduated from school in finding work and things to keep her busy. “She always wanted to volunteer and do something. She really likes helping kids. It is good for her. It gets her up in the morning and gets her going,” he said. He said the developmental disabilities program assigned a provider who helps his daughter with her job and, more importantly, life skills, such as cooking and laundry.